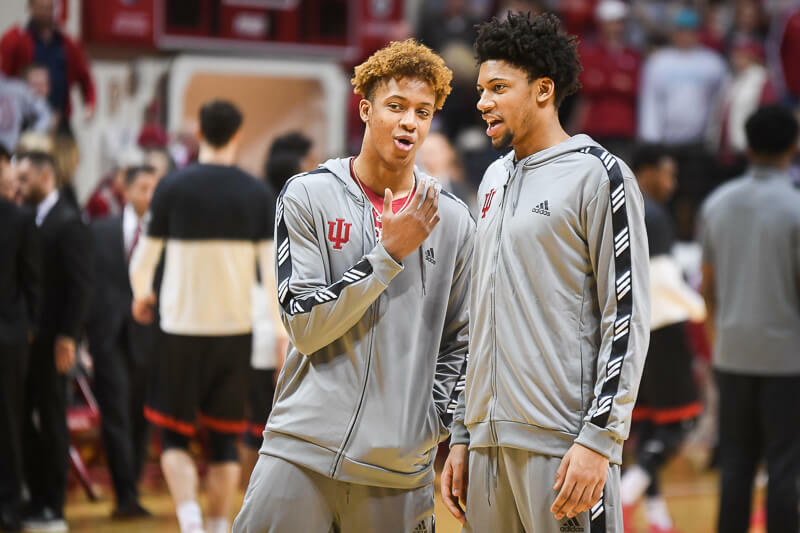 Welcome to “That’s A Wrap,” our player-by-player recap of the 2015-2016 Indiana Hoosiers. Today: Harrison Niego. Niego (25 games): 0.4 points, 0.6 rebounds, 38.5% eFG, 33.3% FT, 25.0 3PFG% in 4.4 minutes per game. Statistically speaking, Harrison Niego didn’t have a huge impact in his first collegiate season. 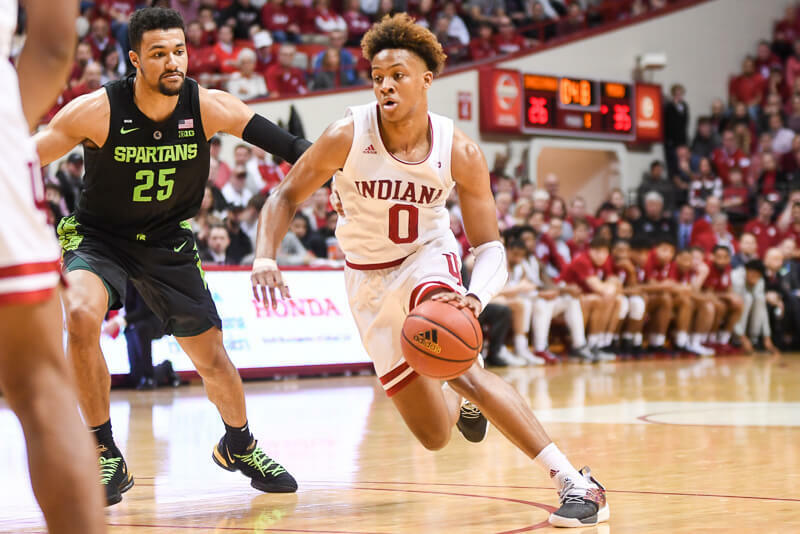 But when Indiana lost James Blackmon Jr. for the season and Robert Johnson for five games late in the season, Niego acted as a capable fill-in for a team that was short on backcourt depth. Niego, a 6-foot-2 guard from Lyons Township High School in La Grange, Illinois, turned down Division I offers to come to Bloomington as a walk-on. And when his number was called, Niego showed he belonged. 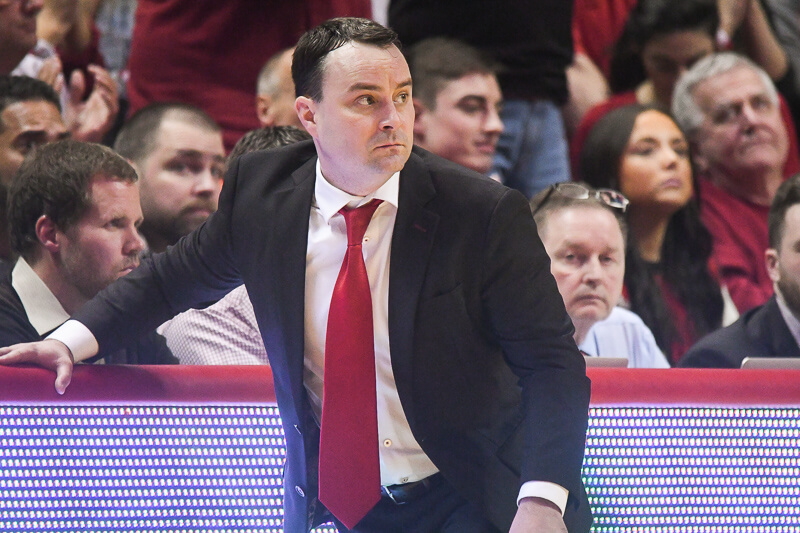 In Indiana’s crucial 85-78 win over Iowa at Assembly Hall, Niego logged seven minutes and hit a key baseline jumper in the second half to go along with a steal. 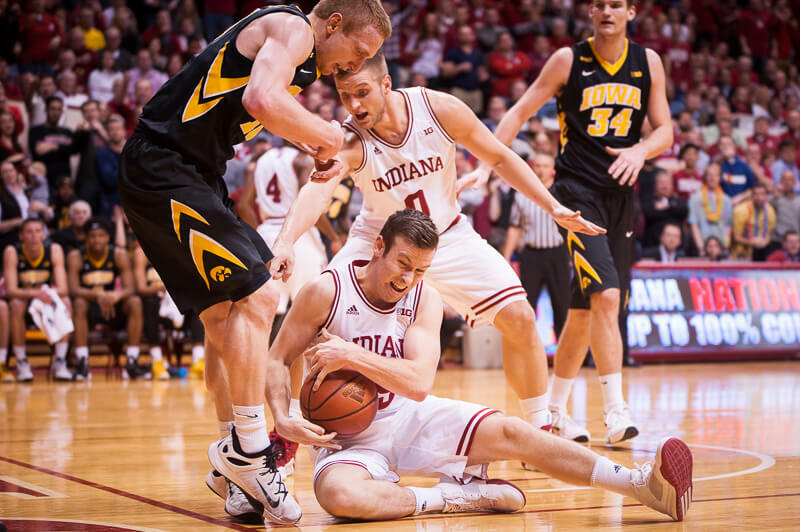 He also took a charge and acted as a pest defensively on Hawkeye guard Mike Gesell. Niego also logged seven minutes in IU’s Big Ten clinching win at Iowa, had two assists in a win over Purdue and had two assists and two steals in a late season win at Illinois. Moving forward, Niego should continue to become more comfortable at the Big Ten level and should be a player that the coaching staff can rely on to provide solid depth in the backcourt. Bottom Line: When Niego speaks, it’s apparent that he’s living out a dream playing at Indiana. As he showed as a freshman, he can help impact winning when his number is called. He’s a solid defensive player who can come in off the bench and provide a boost with ball pressure and should develop more confidence in taking open shots as he moves into his second season. After drawing some comparisons to Errek Suhr during his first season, his role and development will be interesting to watch in the coming seasons. I hope he gets consistent minutes next year and shoots the ball without hesitation. Don’t forget, he broke Zeisloft’s record for career 3 pointers in high school. Did he really? Would never have guessed that from last year lol! But hopefully he can just keep gaining confidence and get better. People forget that yogi isn’t the only piece of the backcourt leaving. With Nick gone, the numbers should play out to still carve a roll for Harrison. Go Niego Go! Appreciate a kid that does what is asked of him with a good attitude. Damn glad he walked-on. We’d have been in a real bind without him. No idea how much he’ll play in coming years but when its all said and done, I hope he walks away with a bucket full of memories (like hitting that baseline jumper at AH) that will confirm he made the right decision to play for his beloved Hoosiers. I kept hoping to see more of his shot every time he was on the floor. I hope he sees some increased minutes in the non-conference next season to build that confidence and develop into an even more valuable contributor in the B1G. Really glad to have him. He seemed to lack the confidence to take a shot or maybe was just deferring to older players. Like this kid..just hard for me to see where he gets floor time (absent..god-forbid injuries) with the bevy of guards we’ll have on the roster next year. He is what i wish Tim Priller could be. Ready to step up. With his attitude and clear passion for IUBB he could be a huge asset as an upper classman leader in a few years. I really like Harrison. He has a great attitude and he really did give up some “decent” scholarships to play for IU. Meadows007 is right about Harrison breaking NZs 3-point records in high school. I think he hasn’t shot much at IU because of nerves partly, but mostly it just wasn’t the role he was given just yet. And that’s another thing I like about him, he’s a role player that is just happy with whatever role he’s given. Even with all the guards we’ll have, I think Harrison will still get minutes next year just for relief purposes, kind of like this year, except I expect (want) him to shoot the ball a bit more. Baker started as a walkon at Wichita State. Yeah i know that. Ron baker was a flat out stud. Niego will have to fight for playing time. I don’t see the comparison….having said that, i would love to see him improve enough to get a scholarship. That would only mean good things for the hoosiers considering he would have to beat out some good players to earn that right. I’d rather he not play honestly. I’d like to think we have enough good guards for him not to play. He should go somewhere he’s going to play. It makes no sense to sit in the bench when you can play at a small school. I have a feeling one of the reasons he turned down smaller schools to come to IU is because he has long term goals of being a coach one day. And if you dream of being a coach at a big school program you might as well immerse yourself in that environment as an undergrad. Just my theory.